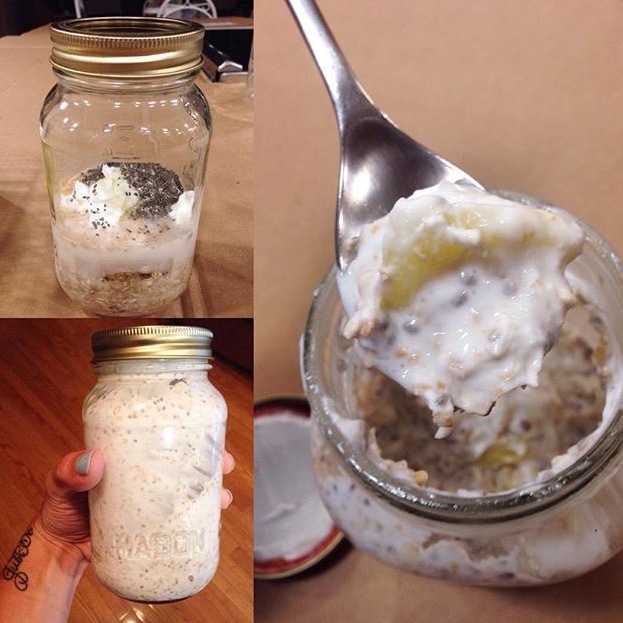 Mason Jar Breakfast! How delicious! Add oats, coconut milk, yoghurt and chia seeds in a jar. Shake well. Add honey and pineapple on top. Store in fridge overnight or for 3-4 hours. Perfect for an early morning, or afternoon snack! Can keep for 1-2 days. Thai Peanut Bowl...super easy and tastes incredible! Make egg noodles (can substitute for any noodle), heat a packet of peanut sauce with coconut milk, add 1/4 lime juice and 1tsp maple syrup. 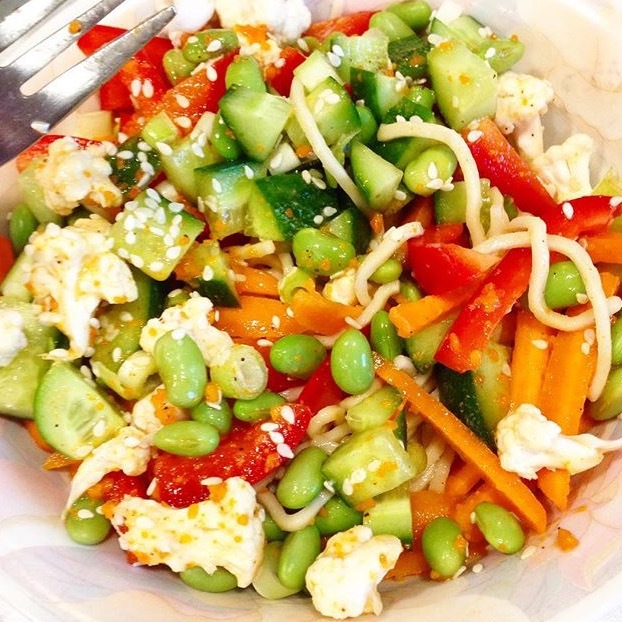 Top the noodles with carrots, cauliflower, edamame beans, green onion, red pepper, and seedless cucumber. Pour over the peanut sauce and garnish with sesame seeds!